The treasure hunt TV show coming to Skerries this Summer! 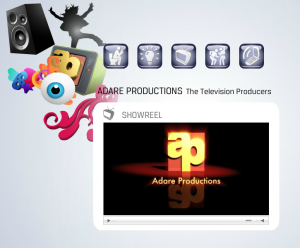 Adare Productions are looking for families to SHAKEDOWN THE TOWN (SKERRIES), in a brand new TV series for RTÉ One. SHAKEDOWN THE TOWN command base will roll into Skerries and two teams, each consisting of 5 family members, will compete against each other to crack the clues and be the first to unlock the safe. Each team will have 3 code breakers, aged 8-14 years old, in the command base. Meanwhile 2 adults will be chasing around their local town trying to gather the numbers for the safe’s combination lock. 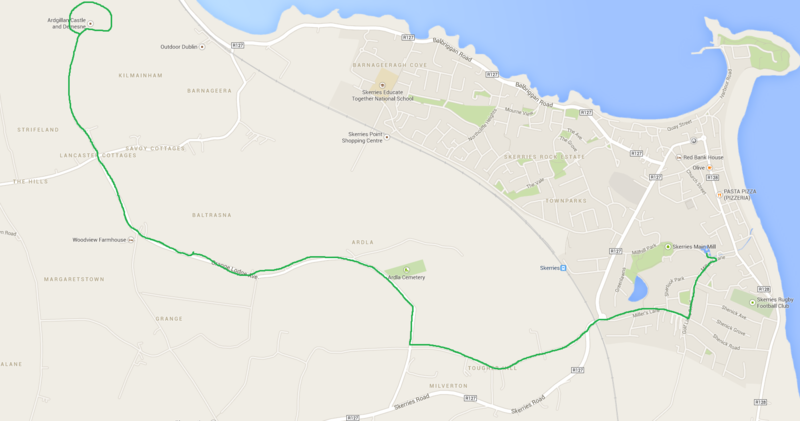 Clues will lead each team to several locations in and around Skerries. At each location the teams must complete a challenge to retrieve a number for the safe’s combination lock. Each family team must have 3 youngsters, aged 8-14 year-olds. So maybe you, your brother or sister and cousin can join forces with two adults, whether that’s your parents / guardians, uncles or aunts. So if you want to SHAKEDOWN YOUR TOWN, we will be interviewing potential families. In the email you need to tell us your name, your contact number and address, along with the names and ages of the other members of the treasure hunt team. Alternatively, you can call us on 01-284 3877 or 085 8073003. On behalf of the SCA, I would like to take this opportunity to thank everyone involved in the Giro D’Italia transit through Skerries. 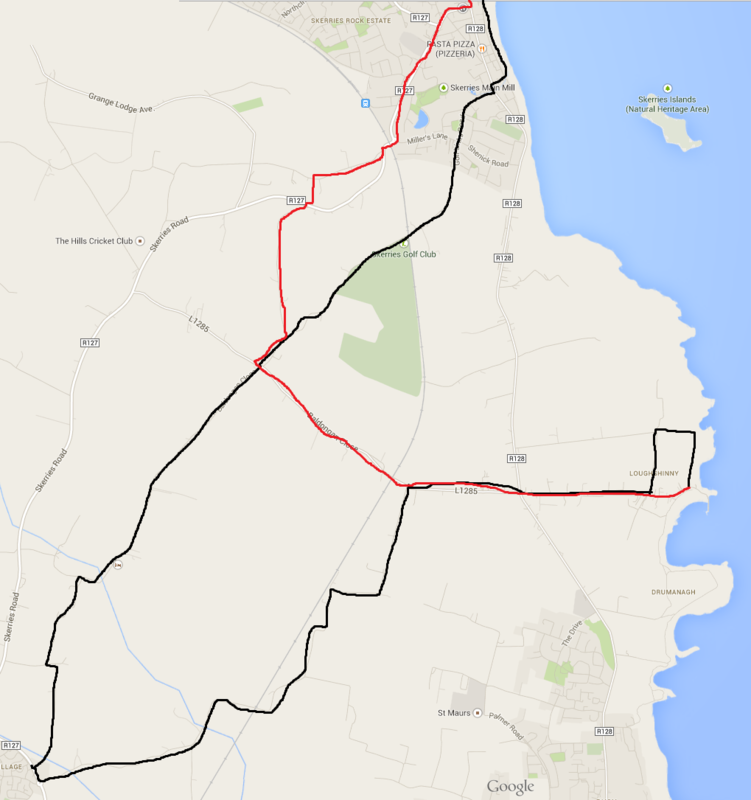 I would like to thank all the Fingal Councillors and those running in the European election for their support in making the route through Skerries poster free. I would also thank all the volunteers for their hard work before, during and after the event. 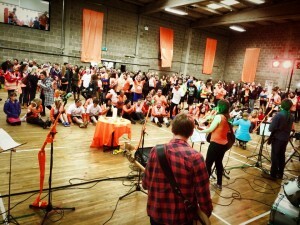 For the contribution made by Skerries Community Centre to the Cycle against Suicide event, a big thank you. To An Garda, Fire Brigade and Ambulance service for their support through the day another big thank you all. 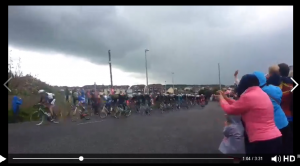 The people of Skerries who came out in large numbers, in such bad weather, and gave great support to all the cyclists. Our local media and photographers recorded the event and are very much appreciated. 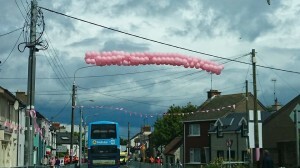 My biggest thanks goes to the Chamber of Commerce for the manner in which they led the make-over of Skerries to welcome the Giro. This will put Skerries on the map with a world wide audience and will be a big help with future tourism. 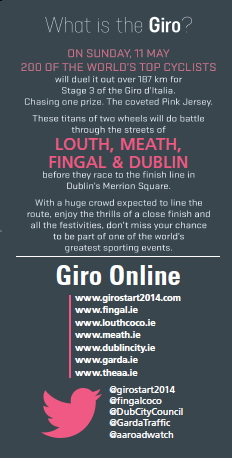 Giro 2014: The world’s second-biggest cycling race is coming to Skerries! 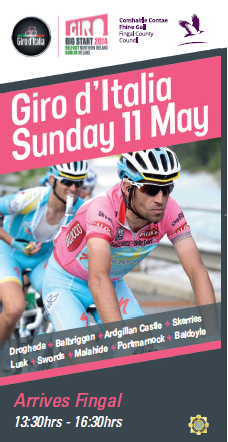 Sunday 11 May 2014 will be a great day for cycling enthusiasts, and a chance to show off your pink and orange T-Shirts! 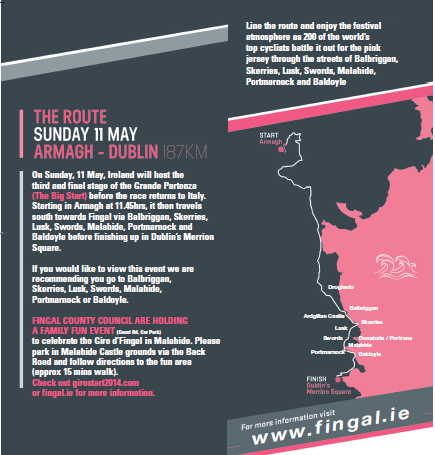 First the Cycle against Suicide ending in Skerries, thanks to the Skerries Cycle Against Suicide people (ORANGE for that, please, around 11.45 / 12 noon), and then on with the PINK for the Giro Start 2014 hitting Fingal County Council from 1.30 p.m. (though probably a little after that for Skerries). 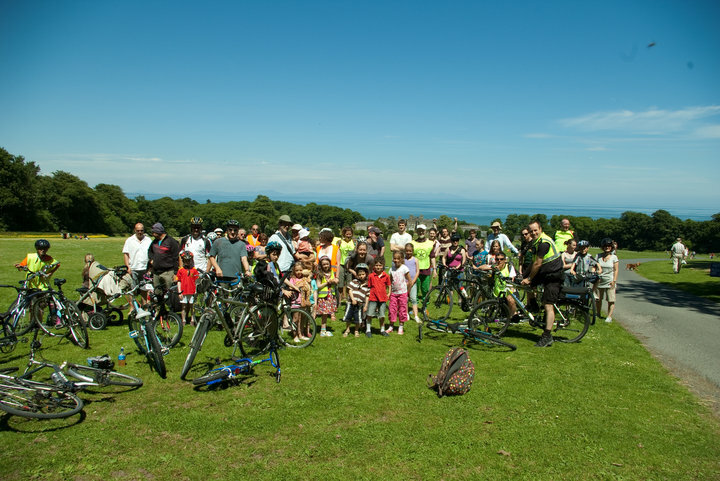 And all this just two weeks before the annual Irish Cycling Road Race, The An Post Rás, celebrates its 9th consecutive year of ending in Skerries!